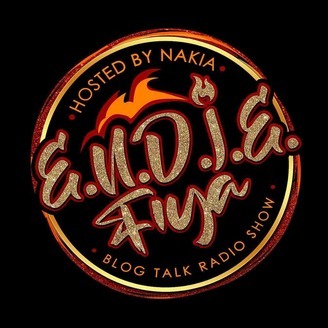 Giving you all things indie, from Hip Hop news that you can use...to that fiya you desire.#Music Entertainment News and Daily Inspiration for Everyone. Too Lit Tuesdays on Endie Fiya: LIVE with Author ~ Gerald C. Anderson, Sr.
Gerald C. Anderson, Sr. was born and raised in Tampa, Florida. He spent most of his childhood life growing up in the Belmont Heights area of Tampa. In 1980, Gerald graduated from C. Leon King Senior High School in Temple Terrace, Florida. After graduation, he enlisted in the United States Air Force. Air Force Life In his service career, Gerald traveled the world with assignments to California (twice), Florida, Kansas, Maryland, West Germany, and Korea. Upon his last assignment in Maryland and after retirement from the Air Force, Gerald worked in the United States Federal Government’s Department of Energy. In 2003, he moved to the Internal Revenue Service, and in 2007 he joined the Department of Education. Education In 2005, Gerald got his Bachelor of Science degree in Computer Information Systems from Strayer University, and in 2008 he received his Master of Administration degree in Criminal Justice Administration from the University of Cincinnati (UC). Published Books We Come in Peace (2010) 27 Hours (2012 (republished in 2014) Standing Firm (2015) Secrets (2016) The Lawyer (2018) The Last Song (2018) Saved (2018) The Room (2019) *Are Your Innocent? (2019) **Warlord (2019) *Scheduled for May 2019 **Scheduled for August 2019 Righteous Productions and The Lyfe Magazine In August 2015, Gerald and Renata M. Smith agreed to become business partners and started Righteous Productions. Together they wrote the script for the movie version of Standing Firm and co-produced the movie. 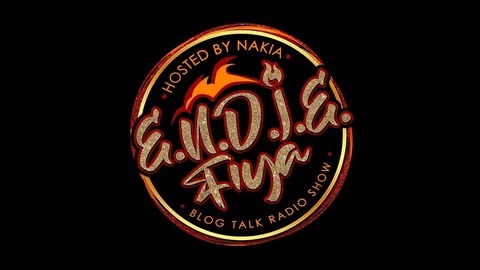 Endie Fiya: LIVE with Radio Personality & Hip-Hop Artist ~ B.L.A.C.K.